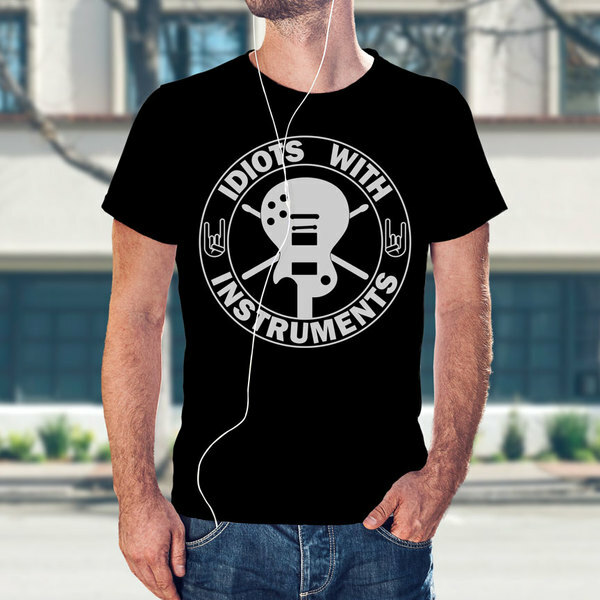 Be the coolest kid on the block with your very own Idiots With Instruments T-Shirt! IDIOTS WITH INSTRUMENTS is a podcast that follows RED HOT REBELLION as they write and record their new album from start to finish while interviewing musicians, producers, songwriters, and music industry professionals to gain insight into their own unique processes. Each episode is an insider peek into one band's manic creation process as they go from simple guitar riffs and chord progressions to epic rock n roll anthems. The interviews are conversations with industry pros geared towards musicians of all levels looking for tips on honing their craft as well as music fans curious about the creative process.